Not a comment on that cyclist. Just me being funny. 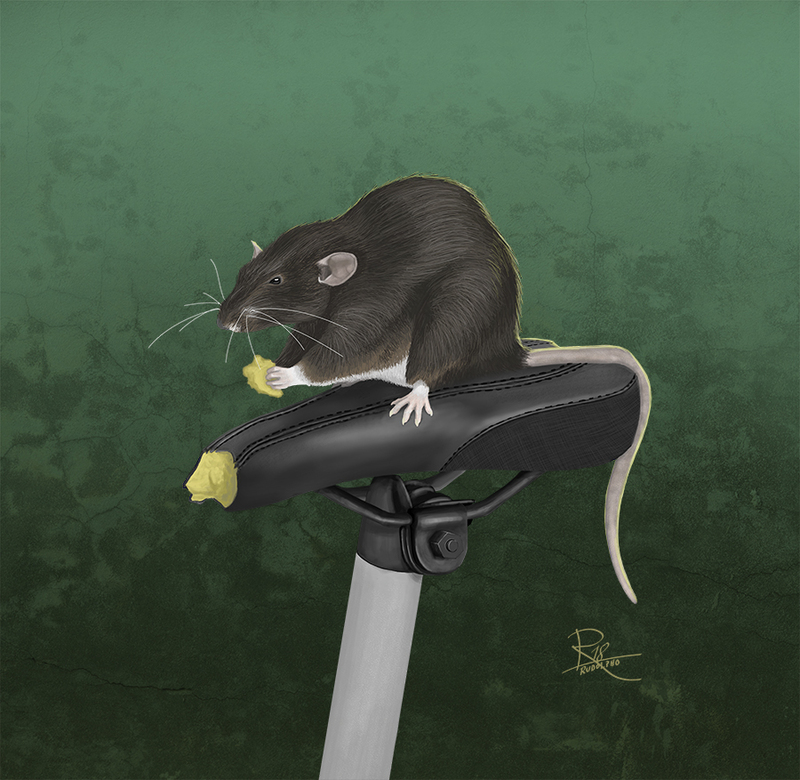 When I cleaned out my cellar I noticed that rats gnawed on my bikes saddle. This is how I imagined the rat looked like.